Contemplative arts at the Shambhala Meditation Centre comprise a number of disciplines and activities, including flower arranging and photography, that integrate art and culture with everyday life. Each of these disciplines represents a genuine contemplative path – together they bring beauty, vividness and wisdom to our lives and culture. Contemplative arts that are actively practiced at the Shambhala Meditation Centre of Toronto are described below. 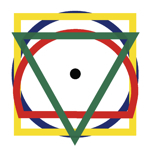 Visit the Shambhala website for information about other contemplative arts and disciplines practiced in the Shambhala community. Miksang is a Tibetan word that translates as “good eye.” The Miksang Society for Comtemplative Photography offers a number of programs, courses and events that present a form of contemplative photography. This school of contemplative photography brings together the art of photography, the discipline of meditation and the Dharma Art teachings of the meditation master and scholar Chögyam Trungpa. Miksang photography is taught regularly at the Shambhala Meditation Centre, see our program listings for upcoming classes and Miksang open house evenings. For more information, visit the website of the Miksang Society for Contemplative Photography. Ikebana, the traditional Japanese art of flower arranging, has its origins in Shinto, where arrangements were made as shrine offerings. 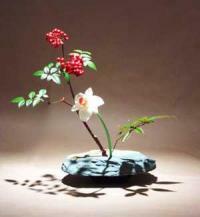 At the Shambhala Meditation Centre, ikebana is taught as a contemplative meditation practice. By creating an environment which allows us to pay attention to our sense perceptions in a non-aggressive way, ikebana is a way of connecting with sacred world. Daoist Qigong is a spiritual discipline that cultivates body and mind simultaneously. The Shambhala Meditation Centre regularly offers teachings under the direction of Daoist qigong teacher, Eva Wong. The Shambhala Meditation Centre occasionally offers or hosts programs in other contemplative arts and disciplines, such as, qigong, Maitri Space Awareness, yoga, Restorative Circles, and Non-Violent Communication. See our program listings for upcoming programs.